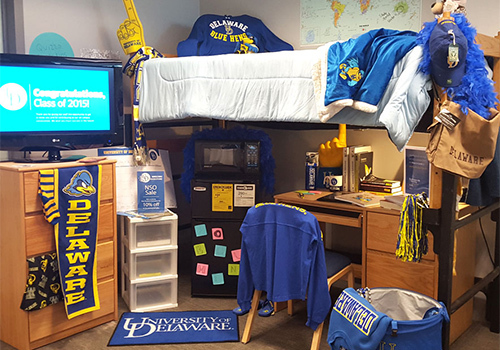 Armed with boxes and books, extra-long sheets and extraordinary expectations, students each year do the long haul—literally and figuratively—from bedroom to dorm room. Today’s students are both sophisticated and demanding, determined to transform uninspired spaces into personal ones, complete with the comforts they left behind. Turning an undersized blank room into an intimate, well-designed oasis takes some style, savvy, and a few great products. 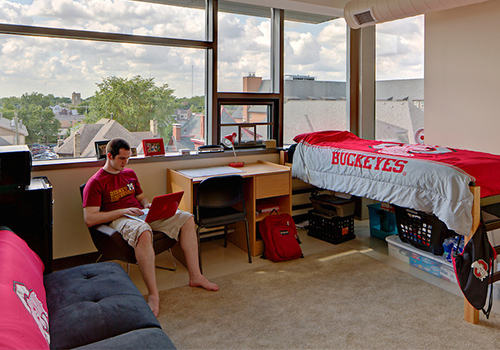 More and more, students are looking to their bookstore to furnish their dorm rooms—and make it a home away from home. 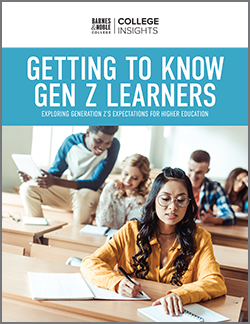 “We’ve been in the business of making students comfortable in their dorm rooms for a long time,” says Lisa Mazzio, Director of General Merchandise, Hard Goods, for Barnes & Noble College. 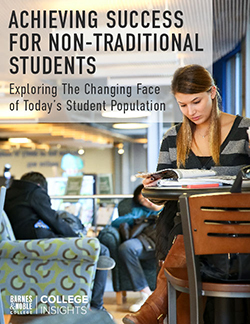 According to Mazzio, the bookstore’s goal is to help students make a pocket-sized place cozy and homey—and make the transition as convenient as possible. “We want them to have the best experience possible. That’s why the marketing team reaches out to students before they even get to campus, sending email blasts showcasing what’s available in our stores.” Products are also available on the bookstore websites, where students can make their picks before arriving on campus and either have the store hold it or have their orders shipped directly to their homes. Barnes & Noble College Social Media Specialist Sandra Webb uses social media sites such as Facebook and Twitter to showcase dorm décor and organization products that are available in the bookstore, putting them in a lifestyle context for students. The student blog, The College Juice, also explores issues surrounding dorm life, from managing stress to roommate tactics. “We also focus on how to make your room feel like home in such a small space—especially such a small shared space,” Webb says. The blog also provides tips and tricks for making a small area feel larger on a budget. “Mirrors can make a space feel both brighter and bigger,” Webb reports. And while hanging photos of family and friends can make the room feel a little more like home, bringing every stuffed animal that ever took up real estate on a childhood bed can crowd the space—and leave little room for anything else. 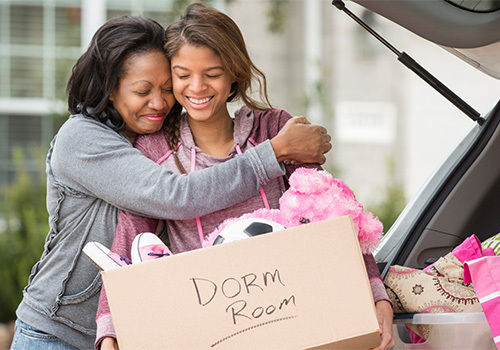 According to the National Retail Federation’s Back-to-School Study, college consumers are spending more on matching bed sets, curtains, bath linens and other home goods than ever before. And their tastes are discriminating. This year, the NRF’s survey found that college students will spend $6.23 billion on bedding, furniture, curtains and towels.